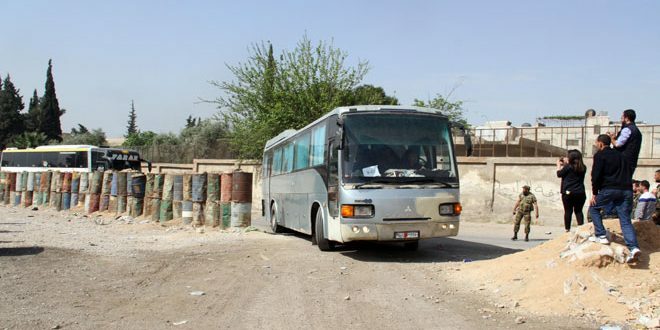 Damascus Countryside, SANA- The process of releasing the abductees and evacuating “Jaish al-Islam” terrorists and their families from Douma continued on Monday. On Sunday, an agreement was reached stipulating that all abductees in Douma are released in exchange for the exit Jaish al-Islam terrorists to Jarablos. 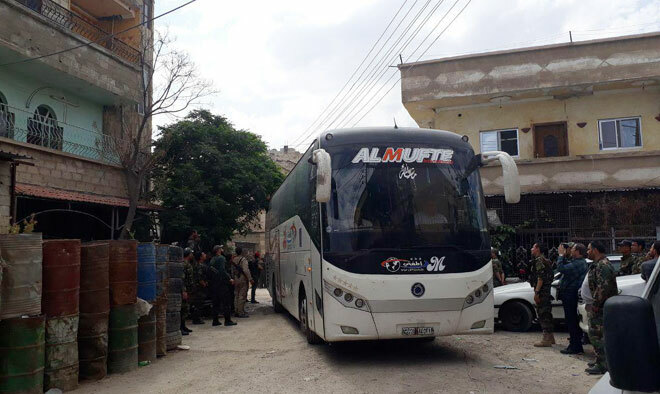 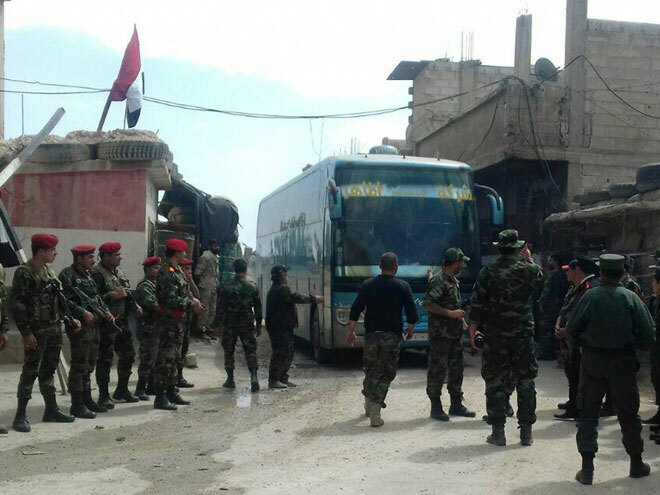 SANA’s correspondent to al-Wafideen Camp corridor said that efforts to evacuate terrorists have gathered momentum in the past few hours, as 31 buses boarding hundreds of terrorists along with their family members have been brought out of Douma through the corridor. 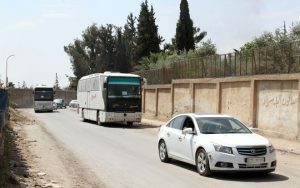 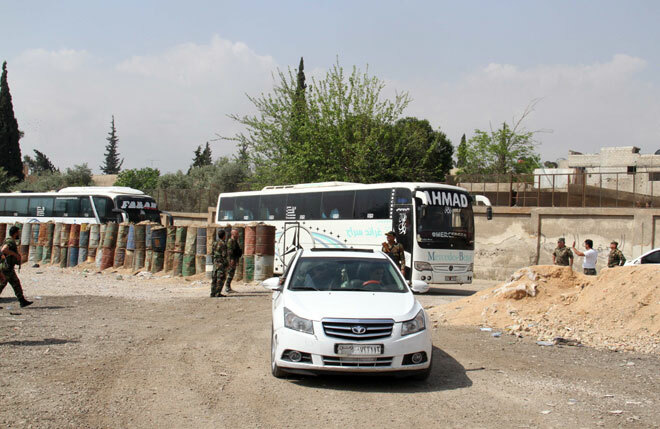 He added that the buses carrying terrorists will be assembled at an assigned point on Harasta highway to be transferred at once at a later time to Jarablos under the supervision of the Syrian Arab Red Crescent (SARC). 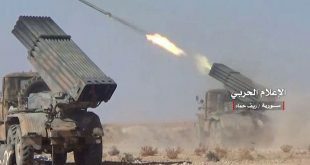 Columns of smoke billowed from the city of Douma and sounds of explosions were heard as terrorists detonated and bunt their depots of weapons and ammunition inside the city in an attempt to blur their links with external forces. 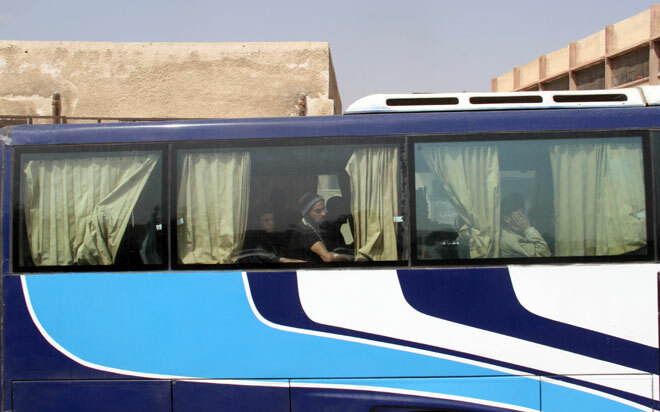 The correspondent noted that a new batch of Douma’s abductees will be released later in the day. 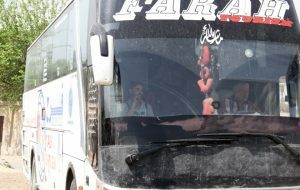 On Sunday, The first batch of the abductees held by “Jaish al-Islam” terrorists in Douma was liberated.